When Reason Fails, A Restraining Order Can Protect You. Fortunately, it does not happen often. 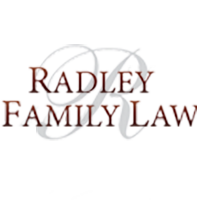 Unfortunately, there are times when a restraining order is needed to protect you and your children from the often irrational, occasionally violent and sometimes illegal behavior and actions of a spouse, an ex-spouse, or the parent of children for whom you have custody. If you or your children are under threat from physical or severe emotional abuse, our family law lawyers will move quickly to seek a restraining order from the court. A restraining order is brought by one spouse to limit the ability of the other to have contact with them. A court will grant one if you or your children have been attacked or threatened, or have reasonable grounds to believe you or your children may be in danger. If the order is violated, then the police will intervene and may arrest the spouse who went against the Court Order. If you feel you need a restraining order, we can apply on your behalf to a court. A judge may issue a temporary or permanent order if you have reasonable grounds to fear for your safety or that of your children. A Restraining Order can restrain your spouse from contacting you directly or indirectly, or from coming within a certain distance of you or your children, your home, where you work, or where youngsters attend school. No one should suffer threats, intimidation or injury because a former spouse or partner is abusing you, especially children. If family violence happens, we will be there for you because family is important to you and me.